Ok, so let’s start with the numbers. Facebook has 500 million users worldwide, and 200 million of them access Facebook via their mobile device(s). Did you hear that??? 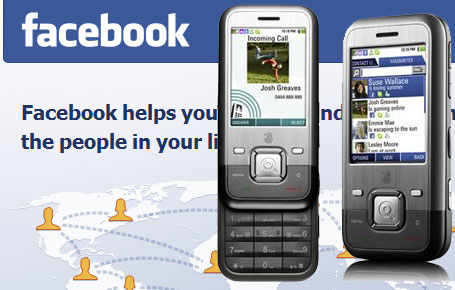 200 million users (and growing fast everyday) are accessing Facebook via their mobile device! Next, let’s move to Facebook Fan Pages. If you update your Facebook Fan Page with every new article you post to your blog, those page updates will syndicate into the news streams of all of your fans. So let’s say you have 250 fans on your Facebook Fan Page. Each time you post a link to your new blog post, you are in essence exposing that article to 250 fans. Now let’s say that 5% of those fans either click “Like” on your update or actually comment on your update (again, the update is from your Facebook Fan Page and it has a link to your new blog post). That would about 12 people who interacted with your update that announced your new article. Ok… short digression – the average user on Facebook has 130 friends – remember that number. So if 12 people (5% of your 250 fans) interacted with your fan page update that announced your new blog article (which has a link to your article), and each of those 12 people had the average of 130 friends, then your page update on your new blog article has been exposed to 1560 people on Facebook. Remember at the beginning that I said 500 million users are on Facebook and 200 million access Facebook via their mobile phone? Well that means 40% of Facebook users are accessing their profiles on mobile phones… right? So let’s take the 1560 people that your fan page update has now been syndicated to on Facebook because of your fans interacting with your Facebook Fan Page update (are you still with me here…?) – and 40% of 1560 is 624. In this example, I’m proposing that your latest blog article has been exposed to 624 people who are accessing Facebook via their mobile device. And that’s just the people who are mobile! The number more than doubles if you are talking about people on Facebook via a normal computer. But this article is focusing on mobile phones… so I’ll keep the numbers “mobile”.